Thank god for sweater weather! The sudden transition from hellish heat to non-stop rain had us scrambling for what to wear in this ~sweater weather~. Here, celeb-approved styling tricks you can try. 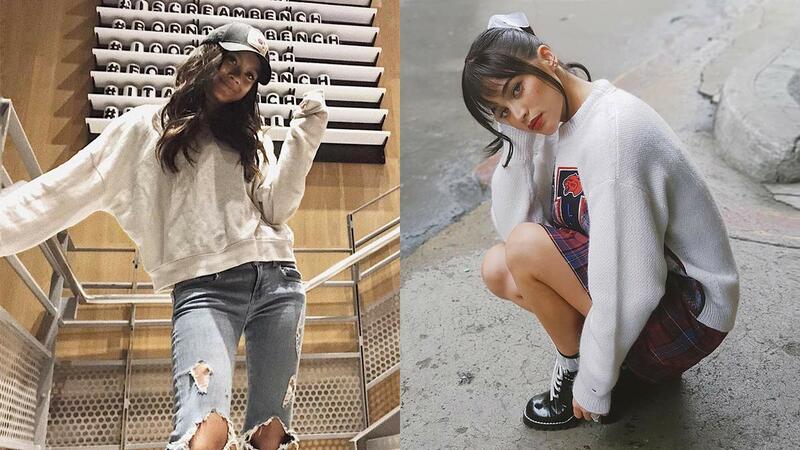 Stay true to the sweater’s lazy day appeal and pair it with uber-ripped jeans and a trucker hat. Make it dainty with a ruffled skirt over baby blue jeans and white accessories. Channel the '70s with flared jeans, blocked heels, and humongous hair. Wear a fuzzy, oversized one with muted hues and a beauty look so low-key, Meghan Markle would approve. Try a statement sweater with basic jeans and a stand-out boot. A college sweater with a plaid skirt and booties is the OOTD you’ve been wanting to try. Keep it chic and sleek with a black-to-black jeans and boots combo.